There are very few kitchen gadgets I will ever insist you get. In general, I don’t like gadgets; I think most are pointless and just take up space in your cabinets. That said, every mom should have a mandoline. A mandoline is a huge time saver for chopping almost any vegetable, with the added bonus of making them uniform and perfect every time. It’s also very small and flat, so it doesn’t take up much space. 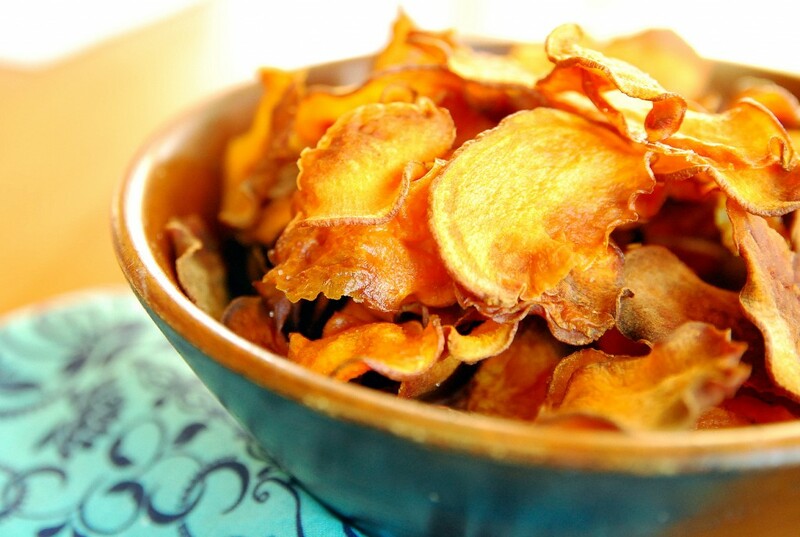 Anyhow, I’ve been using mine a lot lately to make homemade chips. A mandoline allows you to slice up a potato in ten seconds, so I can throw ’em in the oven right before lunch or dinner with no planning or forethought. 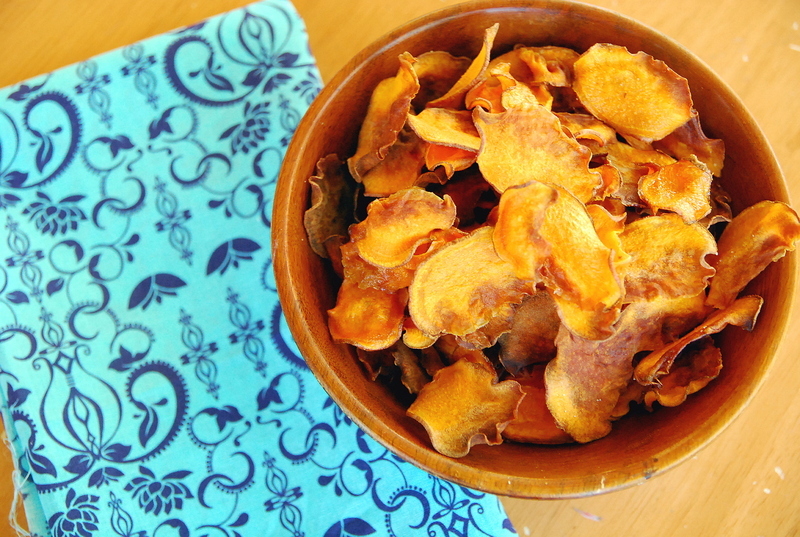 We like sweet potato chips the best. But Russets and Yukon Golds are good too. I don’t even bother to peel the potatoes first. They’re sliced so thin, you can’t even tell. BE CAREFUL WITH THE SALT — go lightly as the potatoes shrink up a lot in the oven, so the salt has less surface area to cover in the end. Slice sweet potatoes thinly on a mandoline slicer. Toss the slices in olive oil, lay them out on a cookie sheet, sprinkle them lightly with salt, and bake at 400 degrees for 15-20 minutes, flipping once. They will start to brown (which is good) but can go to black quickly, so watch carefully. If they're not crisp enough for you, turn the oven off and open it slightly. Let the chips sit for an hour or so. This will help remove extra moisture. Your chips look great! Sorry that you cut your finger. Just thinking about it makes my fingers hurt!